Craps is without doubt the game with the biggest 'buzz' in a land based casino - visit Las Vegas and you'll see the Craps tables crowded 24 / 7. These Craps Rules are brought to you courtesy of Winneronline. Our Craps Strategy, tells you how to make the most of your dice experience! It's the noisiest game in the house and only spectator game in the casino that's worthy of the name. Next to Blackjack it's got some of the best player odds in the house and only Roulette has more betting options for the player. It's the one and only Craps. Picture your average Poker game: stone faces, few words, cagey players and cut-throat action. Craps, god bless it, is the complete opposite. Players yelling bets, hangers-on pumped on the action, fellow bettors your companions with the chips flying and the dice right behind them. It's not just a game, it's the King of Dice. And while it's true that a smart player can step in with $100 and with a little luck walk away minutes later with $10,000, it's also true that there are more sucker bets than you can shake a stick at. Few games show you the line between a smart bet and a bad one, inked right on the felt for all to see. Strategy, opponents, long odds and smart bets. Craps has it all. Unfortunately Craps can be pretty intimidating for the newcomer. There are such a large number of betting options, special rules and exceptions that you'll feel as if you'll never get a handle on it. Personally, I avoided the Craps table for the longest time simply because it was so noisy and confusing. But hang in there because the smarter you play the easier it is. The trick is to take it one step at a time. When you are rolling the dice you are the "shooter". Your first toss in a round of Craps is called the Come Out roll. If you roll a 7 or 11, you win and the round is over before it started. If you roll a 2, 3, or 12 that's a Craps and you lose: again, it's over before it started. Any other number becomes the Point. The purpose of the Come Out roll is to set the Point, which can be any of 4, 5, 6, 8, 9 or 10. The Dealer places a puck marked "On" above the Point number printed on the table. The basic objective in Craps is for the shooter to win by tossing the Point again before he tosses a 7. That 7 is called Out 7 to differentiate it from the 7 on the Come Out roll. If the Point is tossed, the shooter and his fellow bettors win and the round is over. If the shooter tosses Out 7, they lose and the round is over. If the toss is neither the Point nor Out 7, the round continues and the dice keep rolling. Here's where life at the Craps table can get complicated. There are an overwhelming number of betting options and it'll make you dizzy trying to figure them all out at once. Like I promised though, it's easy to play smart. Let's talk about those smart bets first. The typical -- and simplest -- bet is called a Pass bet. It is placed on the Pass Line before the Come Out roll. Assuming that the round goes past the Come Out roll, you're betting on the chance that you'll roll the Point again before you roll an Out 7. Pass bets win at even odds, 1:1. Since any Pass bets are typically betting with the shooter, Pass bettors are said to be betting "right", they're supporting the shooter in his attempt to win. To Win: win on the Come Out roll if the dice show 7 or 11. Win on any subsequent roll if you roll the Point. To Lose: lose on the Come Out roll if the dice are Craps (2, 3, or 12). Lose on any subsequent roll if it's an Out 7. A bet placed on the Don't Pass line is basically the opposite of a Pass bet. Assuming that the round goes past the Come Out roll, you're betting that the shooter will roll Out 7 before making the Point. In other words, you're betting against the shooter, which is why it's called a "wrong" bet. Rest assured though, there is nothing wrong with the odds on a Don't Pass bet. To Win: win on the Come Out roll if the dice show Craps (2, 3 or 12). Win on any subsequent roll if it's an Out 7. To Lose: lose on the Come Out roll of 7 or 11. Lose on any subsequent roll if it's the Point. Come and Don't Come bets are basically the same as Pass and Don't Pass except they are placed while a round is in progress. They are designed for players who join the game late. The same rules apply: win if the next roll is 7 or 11, lose if it's Craps. Otherwise the roll becomes the Come Point. An Odds bet is a backup bet on a Pass/Don't Pass/Come/Don't Come bet already on the table. They're usually limited to two or three times (2x or 3x) the original bet and pay off at true odds: the payoff truly reflects the probability of the dice's roll and there's no additional house edge involved. Unlike original Pass/Don't Pass/Come/Don't Come bets, unresolved Odds bets can be removed from the table during play. Pass Odds and Come Odds pay 2:1 on a roll of 4 or 10, 3:2 on 5's and 9's, and 6:5 on 6's and 8's. Don't Pass Odds and Don't Come Odds pay 1:2 on a roll of 4 or 10, 2:3 on 5's and 9's, 5:6 on 6's and 8's. Now for the rest of the table, the Place Number bets and Proposition bets. Unfortunately the odds against you here vary from mediocre to terrible which is why savvy players ignore almost all of them. These bets are mostly designed for players who either have money burning a hole in their pocket or feel they have to bet on every little toss of the dice. The price of such impatience and risk-taking is higher house edges, sometimes dramatically higher. A Place Number bet is where you are betting that a particular number will roll before a 7 does, or vice versa. These include the Place, Buy, Lay and Lose bets, the Big 6 and Big 8, and finally the Hard 4, Hard 6, Hard 8 and Hard 10. The Proposition bets are where you bet that the next roll will be a specific number. These include the 2, 3, 7, 11, and 12 bets, the Any Craps bet, the Field, Hop and Horn bets. See, simple isn't it? 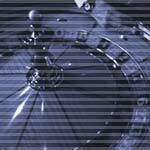 The best way to learn Craps, as with any other casino game is to play for fun in a great UK casino. We recommend Littlewoods Casino for this very purpose.